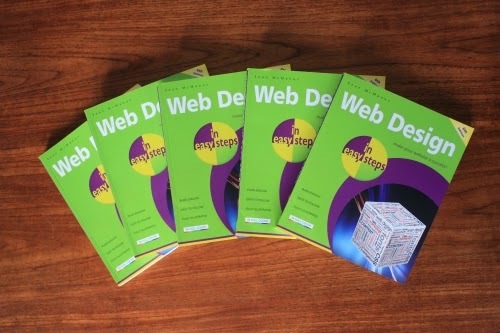 Sean McManus's Writing blog: New edition of Web Design in Easy Steps - out now! You are here: Home > Blog Home > Sean McManus's Writing blog: New edition of Web Design in Easy Steps - out now! New edition of Web Design in Easy Steps - out now! Web Design in Easy Steps, my bestselling book that introduces you to the key concepts of website design, has just been published in a new and updated edition. The book was first published in 2011 and for this edition, I've updated it with more current examples and added an introduction to the CSS3 techniques for rounded corners, text shadows and box shadows. The previous edition of the book was a #1 bestseller on Amazon in the web design category. I've heard from several colleges that are using that edition with their students, and from several people who have launched their first web site after reading it. Find out more about Web Design in Easy Steps, and download a free sampler from the previous edition, here. The sampler from the fifth edition still provides a good flavour of the layout and style of the new edition. If you're looking to buy the book (thank you! ), you can find links to shops stocking Web Design in Easy Steps here.